Some hunters prefer to use a crossbow, because they are perfect for precise shots while out in the field and they can be used with compatible bows. Your crossbow should have all the necessary modifications, arrows, quiver and other components that one would need while out in the field. This is where the Barnett Quad 400 Crossbow Package (Quiver, 3 – 22-Inch Arrows and Premium Red Dot Sight) comes into play. 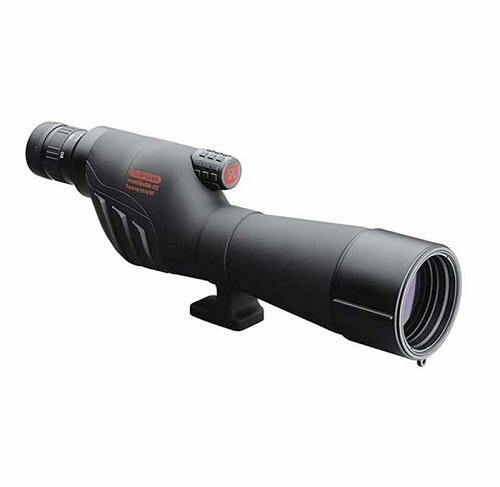 It is easy to use, easy to load, comes with a scope mount and has a great camouflage design. In this Barnett Quad 400 Review, you will learn more about its features, the benefits of owning and using this crossbow, and popular questions posed by customers. When using an arrow, you want something that is not only safe but can be held well when taking a shot. The Barnett Quad 400 Crossbow Package comes with something that is considered a first in the hunting world. It has a quad limb design (hence its name) and comes with a high density gas assist stock. It is easy to use, comfortable to handle and comes with one additional thing – a concealed corking device attachment. When you are done using the attachment, its plugging area can be covered using a plastic crank or cover. I think that is pretty convenient and protects that part of the crossbow. On any weapon that comes with a trigger, little attention is paid to its design and look as long as it does its job. In this case, Barnett has really thought out their design and it looks great. In addition, the thumbhole grip is covered in plastic. It is great because it is easy to hold and operate. It also follows the curve of your hand for a more natural fit. The foot pull is another component of the Barnett Quad 400 Crossbow that you will use often because you pull on it to load and fire your arrows. It is covered with rubber, and even after months of use it has not worn out. A crossbow leaves little room for error so you need something that is light, a comfortable fit and offers great shots and speeds. The Barnett Quad 400 Crossbow weighs about 9 pounds and has a 22 inch arrow length and 150 pound draw weight. While this is great, you want to know if it can deliver. Well, the Barnett offers 112 foot pounds of energy, a 15 inch power stroke and an iconic firing velocity of up to 345 feet per second. Now that is power that will drive the arrow deep into your target. Such firing speeds ensure that your target does not have time to move once you make your shot. What is a crossbow without its arrows, quiver and scope? The final assembly of the Barnett Quad 400 Crossbow looks great. You get 3 22-inch arrows which sit well across the string. You will also get a 4-arrow quick detach quiver in the package. Finally, it comes with either a Premium Red Dot Scope or a 4X32 Multi Reticle Scope. The one I ordered came with the red dot scope. The red dot scope comes with an adjustment dial and a screw that keeps your adjustments in place. In addition, it battery operated. With a device such as the Barnett Quad 400 Crossbow, you require all the help you can get if has a problem or fault. Fortunately the company offers a 5-year limited warranty on the Barnett crossbow. The warranty works for defective parts and workmanship. There have been customer complaints of a bubble in the scope while others say some parts broke, probably from tightening them too much. This warranty keeps them from spending too much on repairs or buying a new crossbow. Comes with arrows and quiver in the starter pack. A red dot scope for more accurate shots. Offers high velocity speeds when hunting. Corking device for easy pull with a safety lock. Adjusting the scope can be a challenge. The corking attachment is a separate purchase. Q: Which corking attachment do I get? A: It works best with the Barnet corking device. Q: What do you do if the scope has a bubble when you look through it? A: For those who had that issue, Barnett replaced theirs with an upgraded option. A few crossbows are quite loud and can sometimes scare away targets. This is why I chose to get a Barnett crossbow for a quieter hunting experience. In this Barnett Quad 400 Review, you can see that it is easy to handle and operate. It also comes with the much-needed accessories (bows and quiver) upon purchase. You also get the scope that helps with more precise targeting. The one thing that is exciting is the corking device, although I wish it came with the original order (it must be bought separately). You can order your Barnett Quad 400 Crossbow Package with quiver, 3-22 Inch Arrows and Premium Red Dot Sight from Amazon. Check out the Top Hunting Crossbow Reviews with Buying Guide.